India is a hub of holiday hot spots that attract tourists from all round the world. There are a good number of hill stations that serve as the best place to take a visit during a break from the hectic life. One such hot spot that is mostly crowded at the weekends is Lonavla, a hill station that is just a three hours ride from Mumbai. Most of the locals visit this place and have loads of fun at the weekend. Apart from the locals, this place also receives international visitors all round the year due to several attractions of this place. The breathtaking landscapes, adventurous activities and delicious sweets bring in more number of visitors every year. Lohegaon Airport situated in Pune is the domestic airport that offers access to this place. The visitors from other parts of the world can take a flight to the international airport located in Mumbai and then wither hire a bus or take a flight to reach their destination. 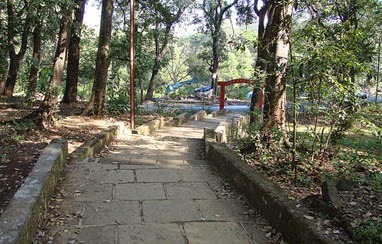 This park enhances the lush green vegetation in Lonavla and is considered as the best place for picnic. The soaring tress, open spaces and play area provided in the park offers the best opportunities to the visitors to have ultimate fun and entertainment. There are several other things like swings that add to the level of enjoyment. This wax museum was designed by Sunil Kandaloor. Here you can find the wax statues of the famous celebrities like Amitabh Bachchan, hariharan, Shah Rukh Khan, Baba Saheb Ambedkar, Sai Baba, Mother Teresa, AR Rahman, Yesudas and many more. These statues have a close resemblance to the star personalities and deserve a visit. These caves are known for their amazing Buddhist architecture. Beautifully nestled in between the mountains, these caves boast more familiarity with wooden architecture. These caves dates back to 80BC and comprise of statue of Buddha and a passageway which is designed with 37 pillars. While exploring the aisle, you will come across amazingly carved elephant heads that once had actual ivory tusks. Bhaja cave in itself is a complex that comprises of 14 stupas and 18 caves. Apart from the sightseeing attractions, you should not miss tasting the chikkis that are available in different flavors. These are delicious sweet dishes made up of dry fruits and should be tasted by you during your trip.